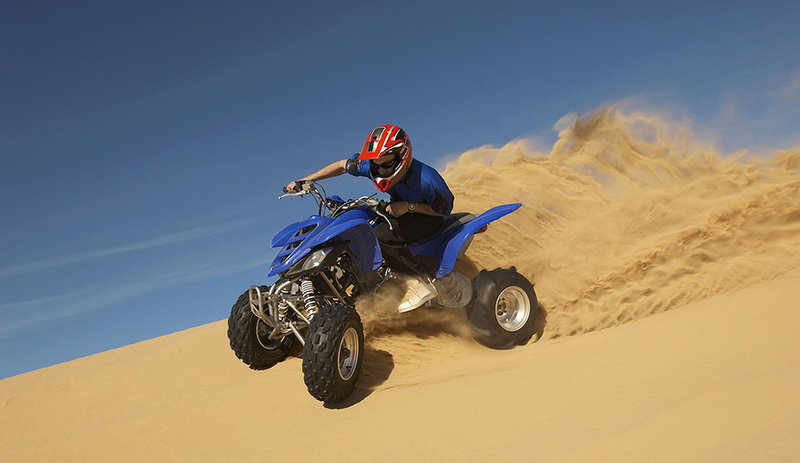 Quad Biking in the desert is an exciting off-road activity that promises adventure, thrill and some dust stirring fun. Considered as a good way to take away stress and recharge the mind, we have arranged the morning Quad Bike adventure for	you to have some fun while also exploring untraveled roads. You will be riding with a convoy and will be monitored by the	watchful eyes of our quad biking experts who will ride along with you. Stir up the desert sand as you admire the hilly	desert landscape puncture with golden dunes. Stop in the middle for a few refreshments and some rest before continuing	with this exciting desert activity. Quad biking in the desert will prepare you to face all the hard challenges life throws at you.